I decided, after a very long while, that instead of losing my work to the past and obscurity, that I would release my AMX Mod X HLDM Mods to the public. I guess, in a sense, giving back to the community that has served me with deathmatch nostalgia since 1999, when I started playing Half-Life online - and have been ever since. Each of these sections features a description, an image, a download of a the plugin (.amxx), and the source code (.sma). Also, keep in mind, i'm not the best scripter by any means, but I figured that some people might still want them. This plugin was originally designed for counter-strike by myself. 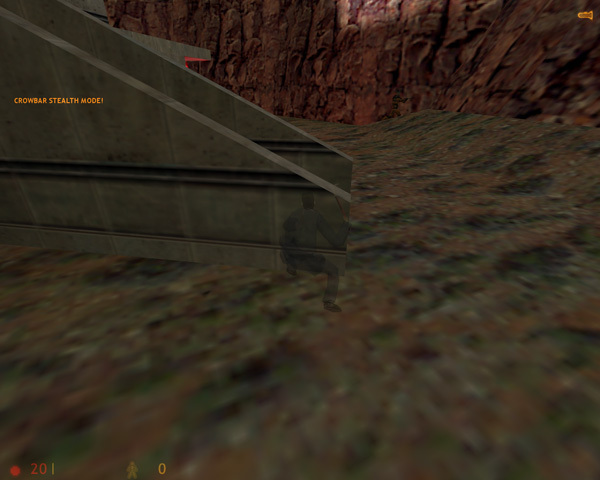 This plugin allows players to enter "stealth" mode when using the crowbar. Which means, players lose visibility, have no footstep sounds, and have third person view. Most of these abilities are configurable with the cvars. Changes how visible you are when stealthing. Set to 0 if you don't want players turning to third person view when using crowbar. Switches all players to their crowbars, sets to darker lighting, and doesn't allow guns if users try to switch to them. Bots seem to ignore this function, so if you are running bots, they still will be able to use guns. Adds extra effects when you take damage. Your screen will flash red, simulating blood and also shake. Both of these can be enabled and disabled through cvars. Turn off/on red (blood) flash on damage. Turn off/on screen shake on damage. I'm in your HLDM, randomizing your equipment! Gives players a 357 instead of a pistol, then gives them a random weapon or item. You may turn off the 357 spawn whilst keeping the randomized weapons/items by using the supplied cvar. This is kind of a weird plugin because it essentially has two different functions, or ideas, but that's why I call it "TuRkEy Equip" because it's kind of a personal thing. When on (1) this will give the 357 magnum to spawning players rather than the standard handgun. 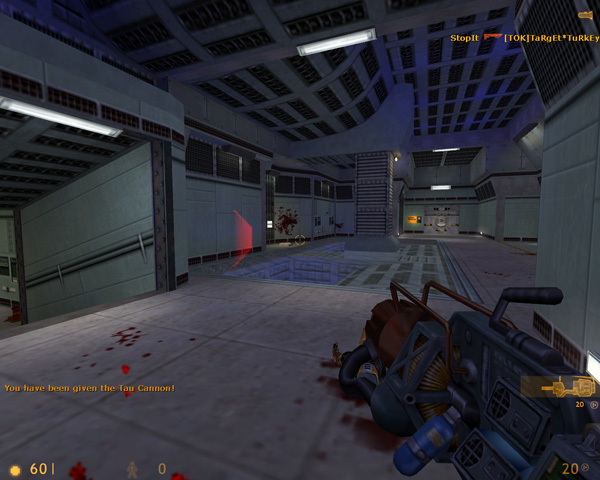 This plugin creates a more dynamic feel to weapons in Half-Life by varying the maxspeed based on which weapon you are holding. For example, you can run faster with a crowbar than you can with a rocket launcher. You can control maxspeeds using the cvars on the fly or in server.cfg/listenserver.cfg. I used entity names for the cvars instead of official weapon names (ex: tau cannon = guass).